Did we all have a fabulous 4 day Easter weekend? 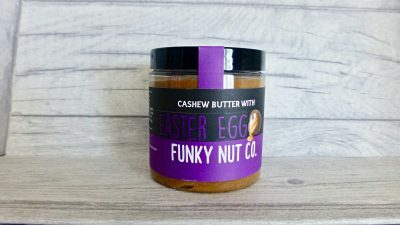 The Easter Bunny not only delivered an abundance of chocolate eggs and bunnies, thanks to Kevvie I also got something to satisfy the peanut butter lover in me – Mighty Fine Peanut Butter Honeycomb. I heart honeycomb and I heart peanut butter and the thought of combining one another has never crossed my mind. Why? I have no idea. With each batch handcrafted they also claim to be Mighty Fine by name and mighty fine by nature. This little company is barely 3 years old and is already selling their honeycomb all over the world including Harvey Nichols, Amazon and independent shops. 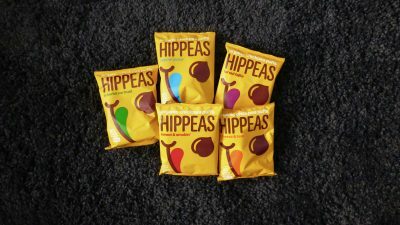 Coming in 4 flavours Milk Chocolate, Dark Chocolate, Peanut Butter and Salted Caramel, they all use natural ingredients and are gluten free. Sickly sweet in smell it made me want to dive right on in there. For those with weak teeth this one isn’t for you unless you have a dentist on speed dial. Golden and bubbly in appearance and super chewy this depicts exactly what homemade honeycomb should be. They layer of chocolate is there as a background to let the honeycomb truly shine through, but and it is a big but, the peanut butter is sadly non-existent. Having a look at the ingredients peanut butter in the form of roasted peanuts makes up only 5% so it is easy to see why there isn’t much flavour. Thankfully honeycomb and chocolate is certainly a winning combination and hands down beats a Cadbury Crunchie any day. 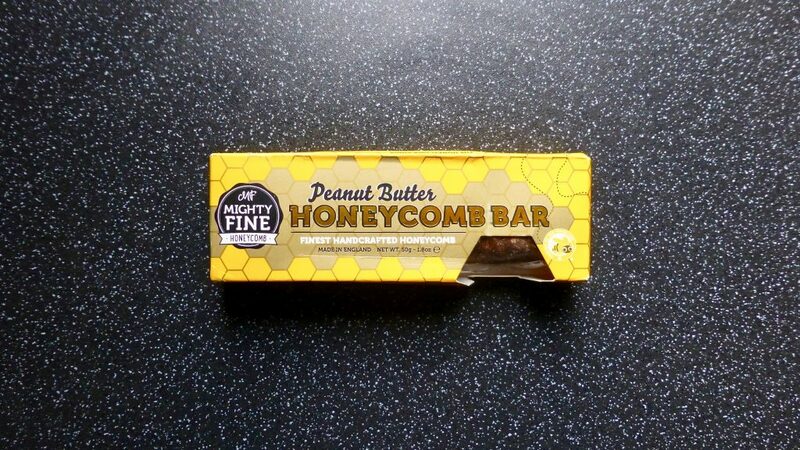 This Might Fine Honeycomb Bar is delicious and is really for those that have an extreme sweet tooth and or who adore honeycomb. The quality is certainly there but the peanut butter is so non-existent Sherlock Holmes would have trouble finding it.